Workshop weeks add creative flair and camaraderie to your week, at no extra charge. Check our website to learn about Elkhorn’s all-inclusive rates that include horseback riding, guided hiking, food and lodging – plus there’s no extra charge for the workshop! The 2018/2019 season rates will be set in June 2018. 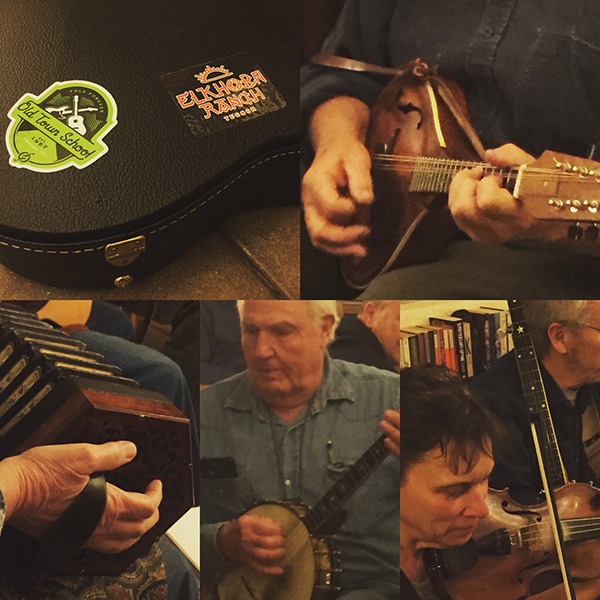 This week is inspired by the tradition of Old-Time music, when friends gathered with their fiddles, guitars, banjos, mandolins, spoons for rhythm and the like around the fire, on the porch and into the wee hours to make music together. Enthusiasts of all levels are welcome. Small group or individual lessons take place most afternoons and everyone enjoys a group jam session after supper. If you’ve ever dreamed of playing music with other people, this is a low-key friendly opportunity to give it a whirl! The musical repertoire will include familiar Western sing along plus traditional Old-Time music. Musical Inspiration and Instruction by Rory MacLeod & Sandol Astrausky (string-band teachers at Brown University) and Bill Burke (see oldtimeymusic.com).